The beeping sound of unread WhatsApp group messages annoys me, but I guess the people sending those messages felt like they were warranted to share their annoyance. Not because of me of course but because of an event that should bring a sense of pride to such practitioners. You guessed right…THE KALASHA AWARDS! Disgruntled comments made by actors due to mistreatment from KALASHA Awards organizers made up the last thread of texts. They complained that they were not invited in a cordial V.I.P manner fit for an event that claims to celebrate Kenyan talent or they received nominations but did not get a ticket for themselves or for their plus one. Meanwhile corporates received more tickets than they asked for…(we all know why). I decided to interrupt the pity-party. See, year after year KALASHA has treated actors with contempt and year after year actors have complained in whispers. So I threw the spanner in the wax. I called upon all actors to boycott; I urged those who were nominated to demand that their names be dropped. Then by ‘pure coincidence’ all the actors I was chatting with were needed back on set or stage! Finally a comment came in the negative, then another and another … This is what I had expected. At least now they were refuting a suggestion of a way forward instead of empty talks and complaints that have never changed anything. I well understood that it was on the eve of the awards and boycotting would be too abrupt and crippling to the event organizers…but isn’t that why people do it. And why didn’t they do it earlier? When Alex Konstantaras wrote an article explaining why he would boycott the award, they were quiet. When SAFE and other producers made a silence boycott that was known to most they still remained placid, maybe even hopeful that things would be different this time. Of course explanations (read excuses) were made. Some needed to get an award like their counterparts before they joined the protest, some were quite diplomatic and presented their complains to the KFC board. The board allegedly refused to listen to them but offered them an incentive at the last minute; to present the awards… hence they could not refuse. Some also felt that those who gave the suggestion or those who would follow through were savage and crass. Never mind that successful welfares like SAG were established through demonstrations and protests that demanded for actor’s dignity. Even nearer our neighbors in Nollywood are known for immediate protest any time the artist is disrespected or taken advantage of. Small wonder if most of our own actors ogle at them and see them as superiors. But we are different and diplomatic and maybe one day the stakeholders will decide to give us the respect we deserve…maybe they will see the light. Anyway, the event went on and of course complaints kept being mumbled. I’m not here to tackle why actors are afraid of activism but I will talk about the underlying reason behind the complaints. Just like anywhere else, acting in Kenya is an artistic skill that solicits public celebration. However, that is just an extrinsic praise. What the actor truly longs for, the real praise is that from equals, mentors and experts in the same acting circles that they are in. Think of it this way, an average football fun will praise Ronaldo for the number of goals he has made but his fellow professional footballers will probably admire his excellent skills in ball control, speed, dexterity, titles, endorsements and so on. In other words, the average actor feels that the KALASHA awards do not really celebrate exemplified performances. Neither are they able to identify epic moments on screen that can make the acting fraternity to be at awe and desire to replicate or out do such a performance. Of course a few shows and exemplary performances have been recognized in this award (Well done to ‘Veve’ !) but that looks like a peripheral objective. Therefore, hard-working and extremely talented actors have had to contend with substandard performances being awarded. This in the long term denies KALASHA Awards the prestige and honor it hopes to elicit. When top American actors speak of the Oscars with so much regard, top actors in Kenya mostly say getting an award or nomination in KALASHA did not enhance their careers. It was a bit alarming when I watched an actor who won an award declare that he will now focus on his music career. 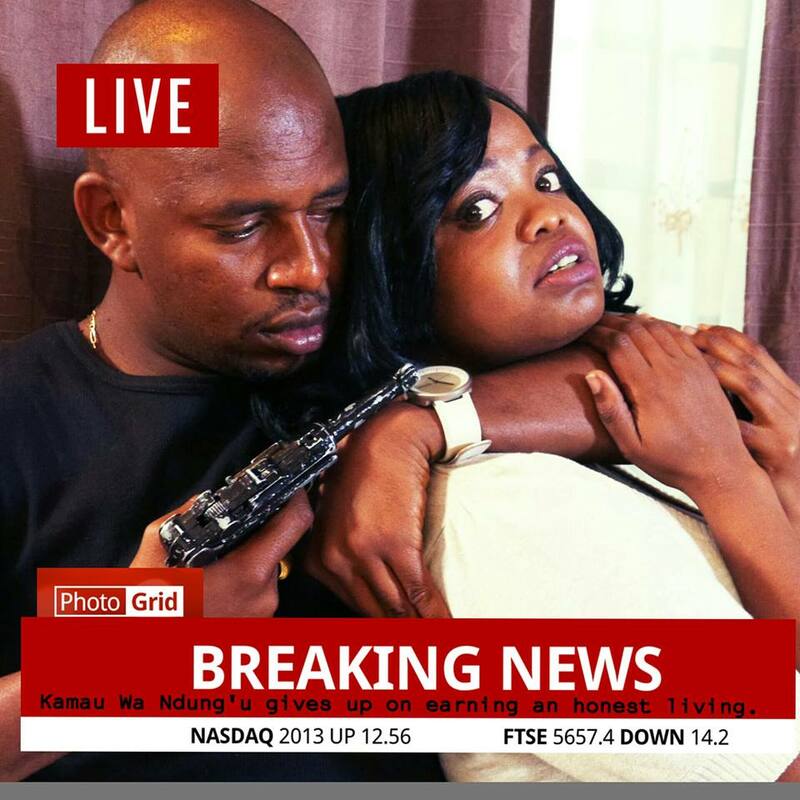 SIX, written by Njoki Muhoho and directed by Gilbert Lukalia. The story felt tight and well matured. Nice Githinji and Kamau WaNdun’gu in action.They play queer robbers in , ‘Six’. The director also did justice to it by capturing the mood of the story and being ahead of the audience. The fact that this was a situational drama only happening in two rooms and maintaining its dramatic relevance was a huge plus. Also it was a high quality local production with good sound and lighting and very few continuity mistakes. But the ensemble cast is what stole this show. The Afro-fusion artist and actor, Iddi Achieng had subtle expressions that were coming from a very believable source. You immediately empathize with the workaholic mother who has to come back in the evening to a dysfunctional family. 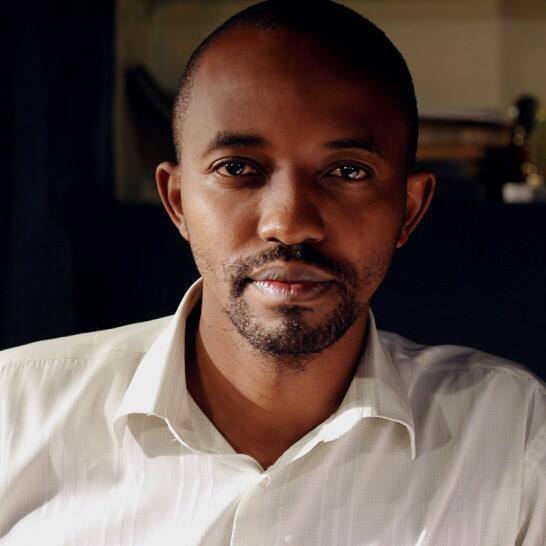 Nobert Ouma also delivered a memorable performance as the artistic son who is intense and crafty .The drama paces up with the entry of queer robbers, played by Kamau Wa Ndung’u , Nice Githinji and Mwaura Musa.Other cast members included Arabron , Nyokabi Gethaiga ,Jacque Njeri and Martha Juma. Simple, subtle yet creating an intense performance. Well done. ‘See Them Blind’ …where he plays an investigative journalist struggling with alcohol and single parenthood. However, I would also celebrate his work due to the various roles he has played on screen and stage. He seems to be a hard working actor who goes at length to research. Kinyua’s interpretation of the character is also quite clear as he taps into his character’s psychic and background. He will sit, talk, walk like the characters he portrays. I do hope to get a chance to interview him so as to learn about his technique and so on. In conclusion …The KALASHA Awards and all awards are meant to celebrate the people in the Industry. They’re supposed to create an aura of pride to the one’s nominated; they should be a highlight of an actor’s career. A moment of recognition for their hard work. And if this is not met…then it beats the purpose. Posted in awards, entertainment, FILM, kenyanfilms, TV and tagged Alex Konstantaras, Gilbert Lukalia, Joe Kinyua, KALASHA AWARDS, Nice Githinji, Njoki Muhoho, Rogers Otieno. Bookmark the permalink.